You know those fancy self serve olive bars in the grocery stores, I’ve always wondered if people actually used them since I rarely saw people lined up. 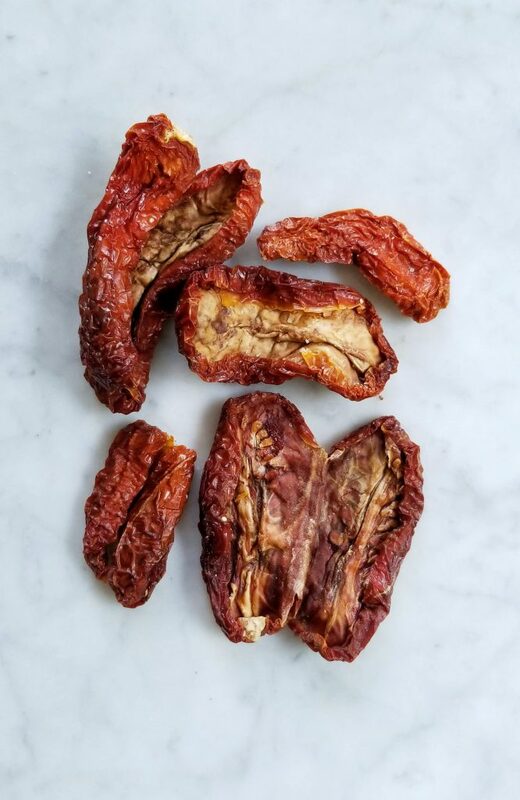 It wasn’t until recently (when I finally got around to liking olives) that I understood the allure of an entire bar dedicated to salty, sour, spicy, preserved tid bits. When you want that wine tasting/picnic in Tuscany flavor for your event, you can grab only exactly what you need. There is no need to buy entire jars of olives or preserves peppers that you just know will sit half full in your fridge forever. Although most of the things in antipasti bars are showcased on elaborate cured meat and cheese platters, I wanted to bring that fancy tapas flavor to something a bit more healthy, and filling. Those beautiful morsels of salt, vinegar, and spices are the perfect “pop” for a summer pasta. And no this is not your normal antipasta salad, filled with cheese cubes and salami. Its colorful, crunchy, bright, packed with veggies and flavor. The dressing is made from one of my favorite dried ingredients, sun dried tomatoes, which bring the most luscious concentrated flavor of summer you could ask for. It’s that salty- savory punch that cold pasta salads crave. 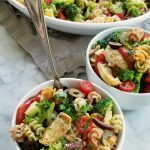 This cold pasta salad is perfect for picnics, potlucks, wine tasting, or just for killer leftovers when you want something cold and filling. 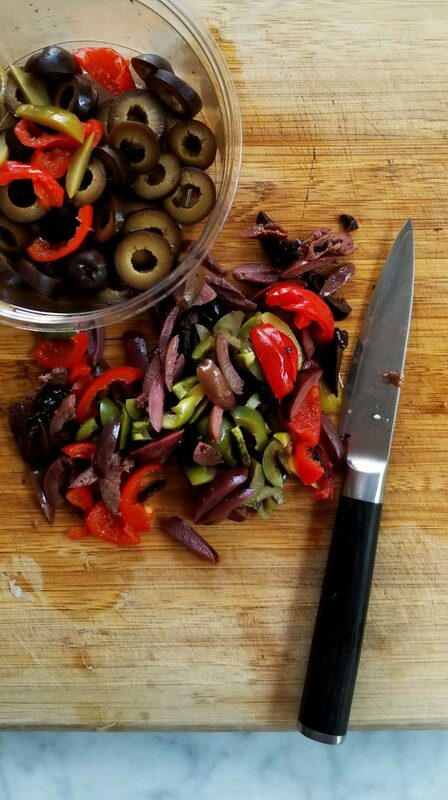 You can make this dish as unique as you want, pick and choose your favorite ingredients from that antipasti bar in the grocery store, don’t like kalamata olives? Pick up some capers, or gherkins. Explore the bar and try out something new! 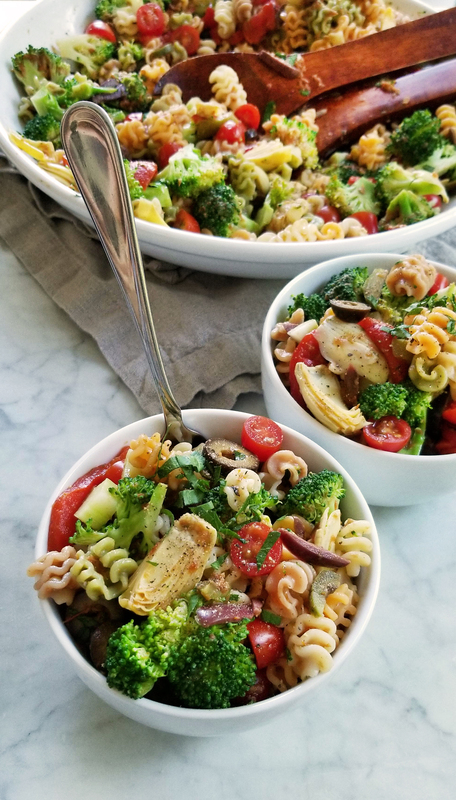 Perfect summer pasta packed with veggies and your favorite salty, pickled antipasti bar favorites! Great for picnics, potlucks, wine tastings, and leftovers. 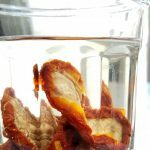 Place sun dried tomatoes in a container and cover them with boiling water, enough to leave a couple inches. Let soak for at least 10 minutes. Prepare a large mixing bowl full of ice and fill it with cold water just until the top of the ice. Set aside. Bring a pot of salted water to a boil. 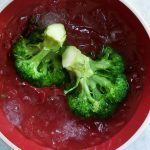 Once boiling, add the whole broccoli crowns to the water for 5-10 seconds, just so the color changes to a bright green. Remove and immediately place in the ice water to stop the cooking process, Once they are chilled remove the crowns from the ice and place them on some paper towels to drain off excess water. To the still boiling water add the pasta and cook until al dente following the instructions on the box. Once cooked immediately drain and run under cold water to stop the cooking process. Once cooled set aside. 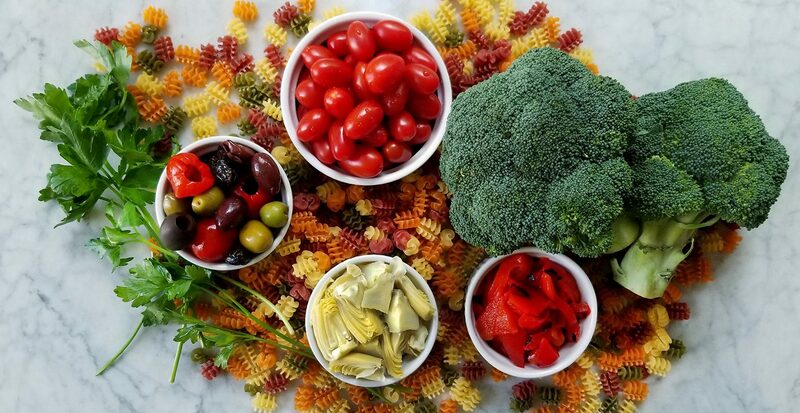 In a large bowl mix the pasta, olives, peppers, artichokes, broccoli, and cherry tomatoes. Pour in half of the dressing and mix. You can serve immediately or you can let the pasta rest overnight to let the pasta soak up the flavors of the dressing. When ready to serve add more dressing if needed and finish with chopped parsley. I intentionally made a large batch of dressing so you can have extra to serve after it has marinated.